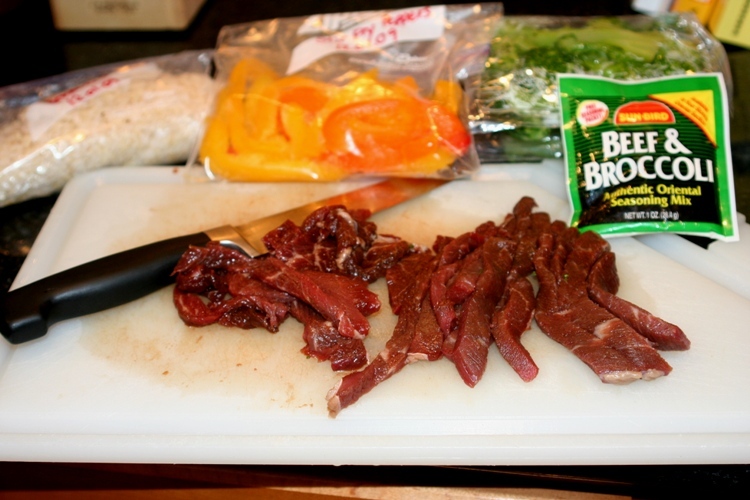 This was a total “eat from my stockpile meal.” Everything I used was on hand in my freezer: the beef, brown rice, broccoli, and sliced peppers. Now with a different sauce and better rice it would have been much better. In all honesty, my version of this wasn’t so great! So, you’re probably reading this wondering why I even put this recipe up if my version didn’t turn out right. But I overcooked the rice before I froze it (which means a whole batch of soggy rice…ugh), and the sauce I used was no good. Other than that, this recipe would be great. It is all about the sauce and the rice, and I royally messed those up. 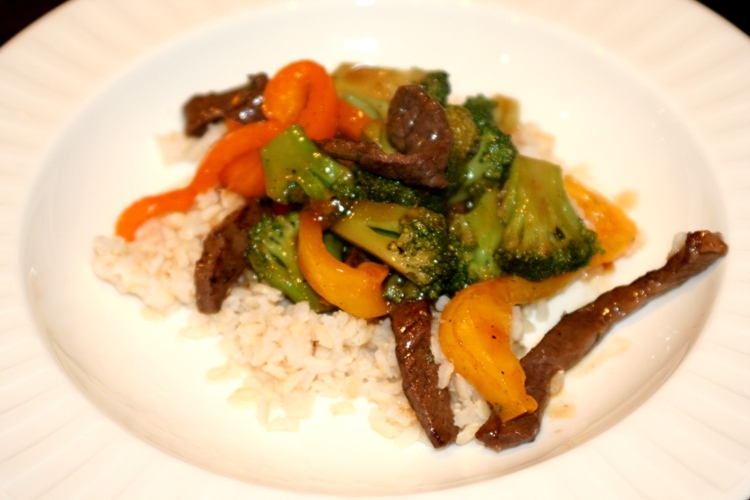 In your version, I recommend either using your favorite Stir Fry sauce or making your own.The reason the meat is so dark is that I marinated it in soy sauce before I cut it, so it isn’t bad :). Heat up a skillet (I use my trusty iron one) and brown meat. Once meat is browned, add vegetables and cook until cooked through about 3-4 minutes. Add favorite stir fry sauce and heat through. Overcooked, soggy rice can be wizzed up in the blender with water to make rice mik if anyone at your house likes it or is milk allergic. I used to be allergic and did this-I don't remember the exact recipe but surely a Swaaggle search will find it. I will be making this! Sounds like dinner tomorrow night! Do you know about how much broccoli is in 2 packs? I buy is 2 lb packs most of the time. So I have all the items on hand! Thanks so much! 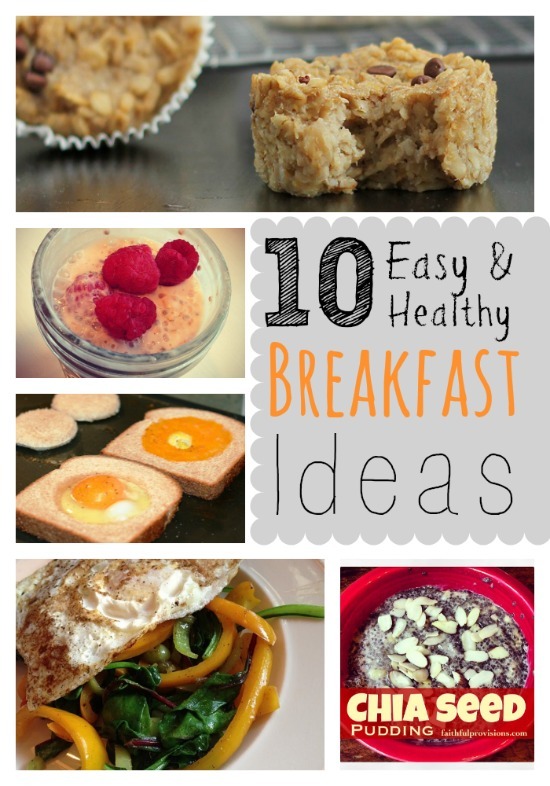 For the Recipe! I have an amazing stir fry sauce if you want it Kelly. My boys & husband love it and it is the only time they eat broccolli. It has fresh ginger in it which I think makes such a difference. I find stir frys go together easily with things readily on hand. Tough meat can be tenderized and used deliciously this way. Garlic, ginger, olive oil, soy sauce and pineapple juice are all meat tenderizers (the garlic, ginger and pineapple have enzymes that help break down/tenderize the meat, as well as season it; salt/soy sauce and oil also help to draw into or retain moisture in the meat) – these also make the basis for a great teriaki-like sauce. Slice your chosen meat in thin strips (works well if the meat is still partially frozen). Put them in a ziploc-type bag and add soy sauce (about 1/4 cup for 1# meat), olive oil (2-4 Tbs. ), fresh pressed garlic (or garlic powder if that’s what you have – 1-2 cloves/1/4 tsp. or to taste) and fresh or powdered ginger (1/4-1/2 tsp. or to taste). I like to open a can of pineapple chunks and pour some of the juice (2 Tbs. – 1/4 cup) into the bag. Seal and marinate in the refrigerator for 30 min. to overnight. Be sure to put your pineapple in anothe rcontainer (I keep mine in a mason jar with a lid) otherwise the can will corrode – yuck. 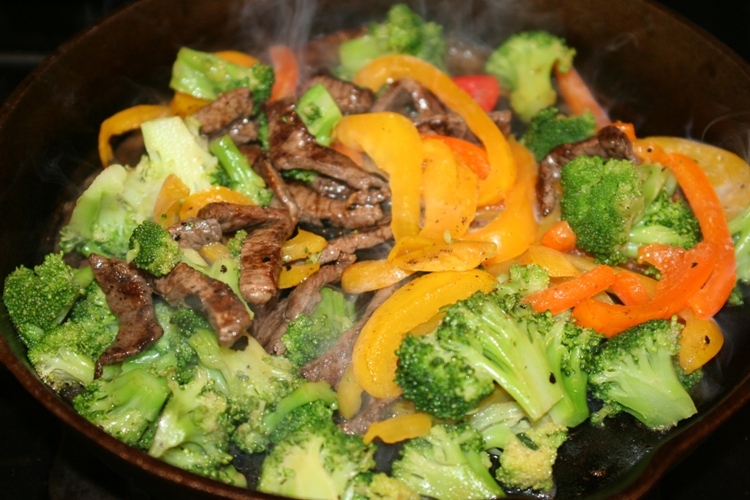 When ready to stir fry, add drained meat (reserve the sauce) to a little hot oil. Cook and add in veggies (don’t forget that cabbage and spinach work well in stir fries too; bell peppers and carrots add color. I like to add onions right after the meat so they carmelize a little and sweeten). If you like a little sweeter stir fry, use some of your reserved marinade (about 1/4 cup) and add a tablespoon or two of brown sugar and 1 tablespoon of corn startch and mix. Add this at the very end of cooking to make a sauce (and it adds some shine). This is when I also add some pineapple chunks in, stirring to warm them, and sometimes top with some cashews – somehow makes it even more elegant and finished. The garlic, soy sauce and ginger, as well as the pineapple juice, season the dish nicely (even if you omit the brown sugar – if omitting it, and wanting a little kick to this more savory version, just add some red pepper flakes to the hot oil at the beginning. Heating the pepper flakes releases their oils and a little will go a long way – seems much hotter this way so start small! You can always add more later – but it’s never as hot as that cooked in the hot oil first).